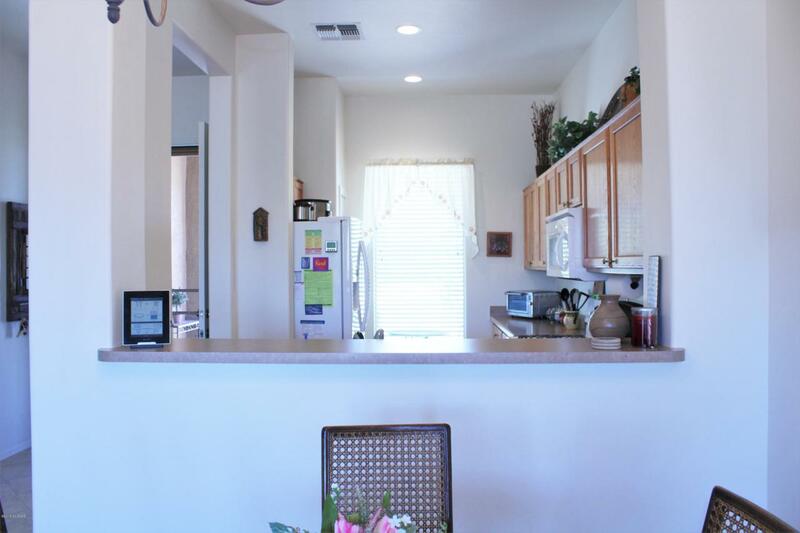 Beautiful home in the gated 55+ golf community at Canoa Ranch. 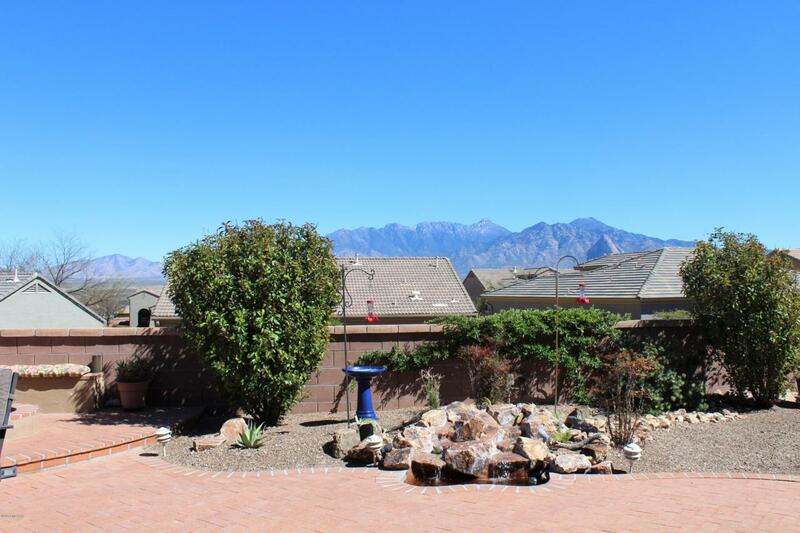 Step inside this well kept home and you are immediately taken by the mountain view. The back patio is an entertainment paradise with a built in circular seating area around a gas fire pit. A rock fountain adds the perfect nature sounds to accompany the breath taking view. 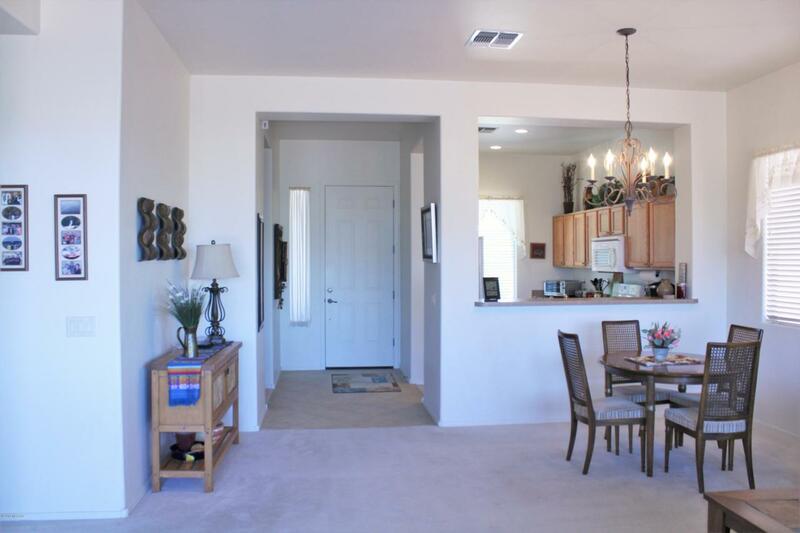 Inside you'll find a spacious master with high ceilings. The master bath has dual vanities, a step-in cultured marble shower with seating, and a spacious walk-in closet. The guest room is perfect to double as a den or office, complete with a pull out couch for company. The kitchen is well equipped with an updated double door fridge, a nice pantry for storage, and a view of the mountains from the kitchen sink. This home is just steps away from the newest GVRcenter at Canoa which offers an indoor pool and well maintained work out facility. You can drive your golf cart to the Canoa golf course and enjoy a round of golf or have a bite to eat at the Grill on the Green. 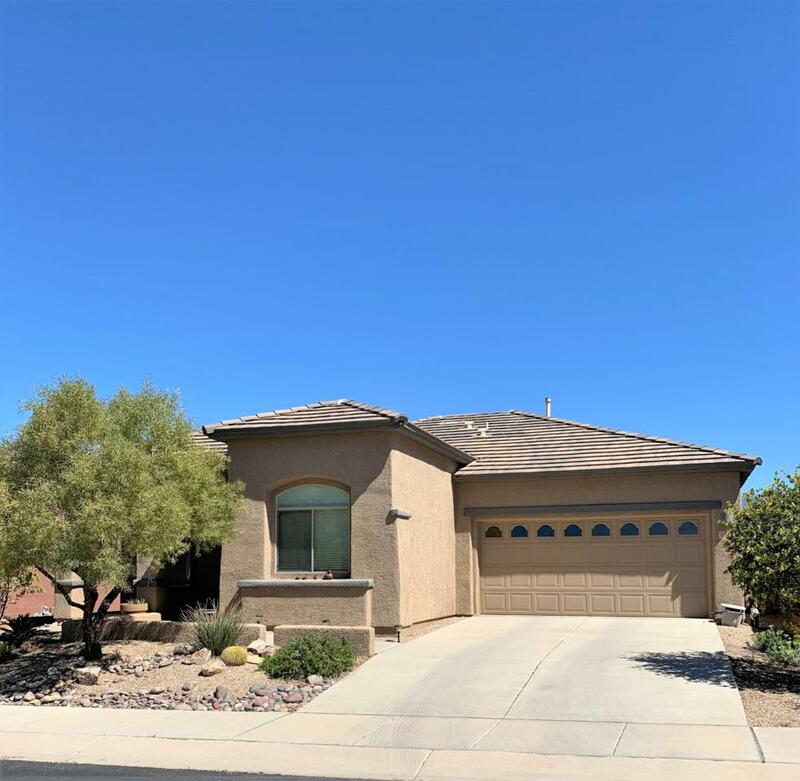 This home is the ideal retreat to enjoy all Southern AZ has to offer!